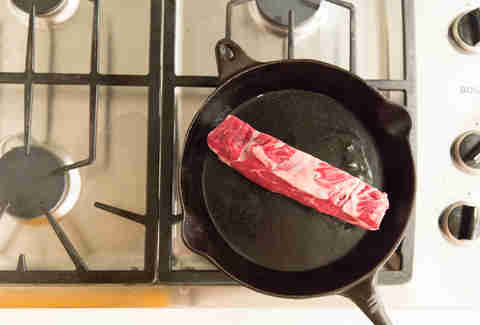 15/01/2019 · If colder weather has you stuck inside or you don't want to take the time to fire up the grill and wait for it to preheat, it's helpful to know how to cook steak on the stove using a skillet. Once your skillet is nice and hot, add some oil and a 1/2-inch thick strip steak: 2 minutes on the first side, 1 minute on the second side (or even less, if you prefer a rarer steak like I do). 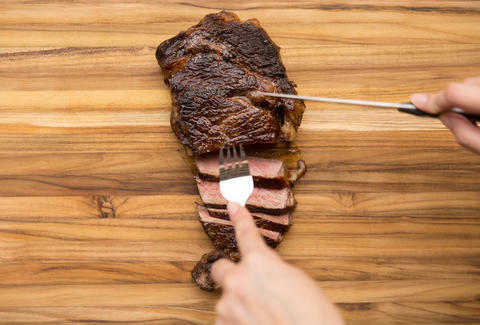 Plate the steak.